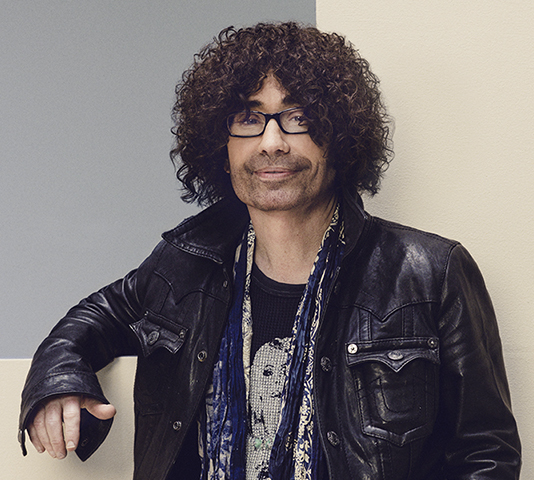 Reality TV trailblazer Mike Darnell was honored with a CSUN Distinguished Alumni Award in April. Photo courtesy of Warner Bros. Roles playing a child in Welcome Back, Kotter, Sanford and Son, and Kojak were in Mike Darnell’s rearview mirror. While the 20-year-old was at an audition for a commercial, he had an awakening. Darnell went to California State University, Northridge and through it got an internship at Los Angeles’ KTTV station. It helped launch his career as a pioneer in reality television, and as one of the most important figures in the genre’s history. In April, Darnell ’87 (Communication Studies), president of unscripted & alternative television at Warner Bros., and former president of alternative entertainment at FOX, was one of three people honored with a CSUN Distinguished Alumni Award. Darnell has long been unconventional. At 12 years old, he was studying television ratings. In junior high and high school, he would go to the library and pull out the almanac to study and memorize what the top 40 TV shows were each year. He’d look at the fall preview of TV Guide and predict what new shows would hit, and which ones would miss. “I was pretty accurate,” he recalled. He reminisced about a moment during a speech class at CSUN that speaks to his outside-the-box thinking. A couple of lines in, he got strangely emotional, then angry. He ran out of class, eliciting a reaction from the other students, and then he waited. He walked back in to a room enthralled with confusion. “I went up back to the podium and I said, ‘Now that’s entertainment,’” he exclaimed. “I got a thundering round of applause from the students, and an A+ from the teacher. I was being rewarded not only for doing a good job, but for the clever way in which I did it. After two unfulfilling internships — one as a baseball umpire — Darnell struck gold at KTTV. Or as it would turn out, a network struck gold with him. He showed a willingness to learn all and do all. At that time, FOX television became a network and KTTV became its Los Angeles affiliate, and Darnell’s work was attracting attention. He was a runner, a messenger and a part-time writer. Eventually, he was promoted to executive producer of specials and later director of specials. It was in that position where he had another breakthrough moment. He was shown an 18-minute video of what was claimed to be an actual alien autopsy. “I said [to the producer] is there any way you can get the footage dated. He came back with a letter from Kodak that [the footage] was either from 1947 or 1967 because they mark [film] in a certain way,” Darnell explained. “I said, that’s enough for me. The show Alien Autopsy: Fact or Fiction? aired three times on FOX. One of the airings attracted 11.7 million viewers, according to Time magazine. Darnell had momentum and kept building it. Shows like When Animals Attack!, World’s Scariest Police Chases, and Breaking the Magician’s Code: Magic’s Biggest Secrets Finally Revealed followed. In 1999, Who Wants to Be a Millionaire? debuted on ABC and in 2000, Survivor arrived on CBS. Both shows signaled a change in television and showed that non-traditional, unscripted series appealed to mass audiences. He developed and oversaw hundreds of specials and series for FOX, such as Joe Millionaire, Family Guy, Temptation Island, The Simple Life, Hell’s Kitchen, MasterChef and So You Think You Can Dance, among other hits. Darnell rose to become president of alternative entertainment at FOX and was the executive who said “yes” to American Idol, and saw it become the top-rated show on TV for a historic eight consecutive seasons. In 2013, Darnell left FOX and brought his team with him to Warner Bros.
Mike’s division is the No. 1 provider of primetime unscripted programming with hits including The Voice, The Bachelor franchise, Little Big Shots, and several new series including Little Big Shots: Forever Young for NBC, Love Connection hosted by Andy Cohen for FOX, and The Ellen DeGeneres-hosted Ellen’s Game of Games for NBC, among others. In addition, Mike is responsible for a large slate of programming in cable and syndication, including The Real Housewives of New York City, Who Do You Think You Are?, TMZ, The Real, and the Emmy-winning The Ellen DeGeneres Show, among others. He has been called the “king of reality TV” by Vanity Fair and a “latter-day P.T. Barnum” by The New York Times. Carolyn Darnell ’83 (Theatre), a CSUN alumna, calls him her husband. But she has another word for him. Darnell said he has much more to create. His desire to innovate and his enthusiasm for the business is the same as when he first started. As to how he’s gotten this far, Darnell said a couple of qualities stand out.